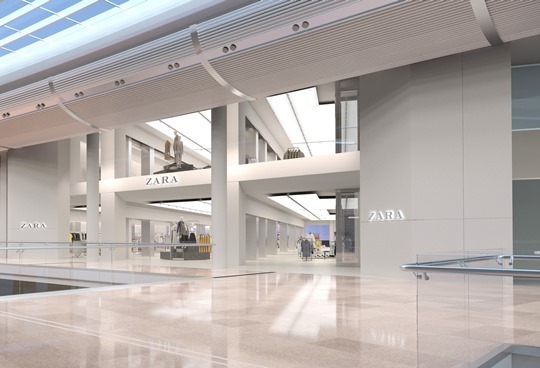 In May 2018, Inditex’s brand Zara will open the world’s largest and most radical flagship store in Stratford (London). Cleveron is proud to be providing the store’s click-and-collect automated self-service pickup solution, CleverFlex. September 2017: Cleveron and the world’s largest fashion retailer, Inditex, launched the click-and-collect automation pilot project in La Coruña, Spain. The project was designed to test Cleveron’s newest self-service solution, CleverFlex, for the automation of the Zara brand’s in-store click-and-collect delivery. The La Coruña CleverFlex parcel delivery terminal stored up to 700 packages. Today, Zara and Cleveron are making preparations to automate Zara’s largest flagship store’s in-store click-and-collect parcel pickup. It is expected that the in-store click-and-collect parcel volume will be the largest ever seen. This volume will amply showcase the fundamental departure from traditional purchasing habits offered by the new Stratford Zara store. Flex For the Stratford flagship store, Cleveron is providing two CleverFlex click-and-collect automated pickup self-service solutions. Together, these will be able to handle up to 2400 packages simultaneously. Küsimuste korral võta meiega ühendust!